I love salmon. It can be pricey around here so we don’t have it that often and I always forget how easy it can be to cook and how much I enjoy it. Growing up my mom and dad used to always prepare it stuffed full of dill, onions, fresh herbs and a good squirt of lemon juice. I like it this way, but one time when I did not have fresh herbs on hand I stumbled upon an even tastier way I now use to prepare mine. 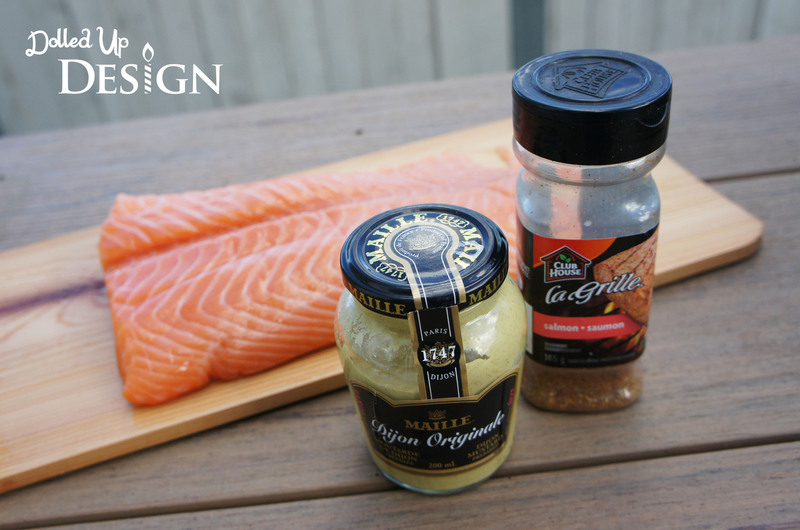 Using a spoon or dull knife, spread the Dijon liberally across the surface of the salmon. I prefer the grainy style Dijon, but smooth is what we had on hand this time and it works equally well. 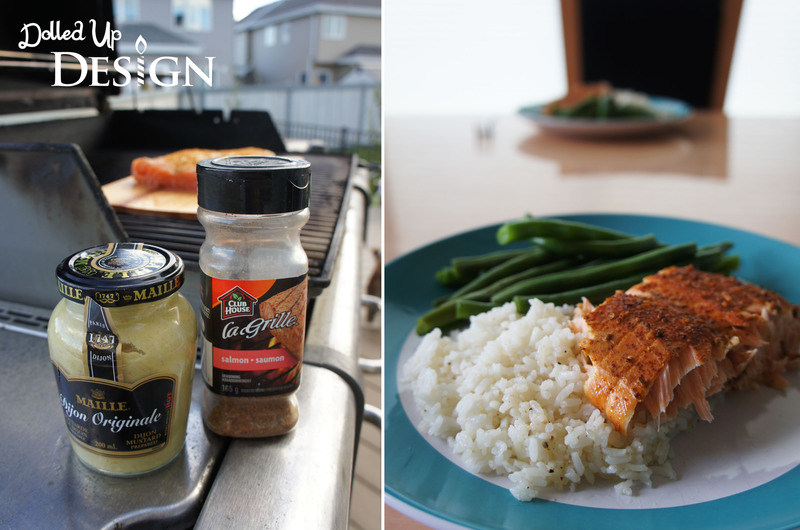 Put a generous sprinkling of Clubhouse la Grille Salmon flavour seasoning over the mustard. 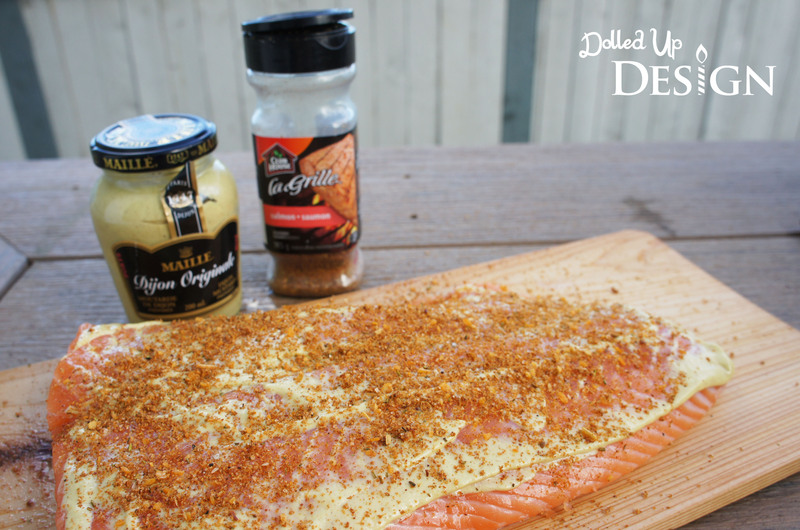 Grill or bake your salmon until cooked through and flaky. For an extra layer of flavour we always grill ours on a soaked cedar plank. 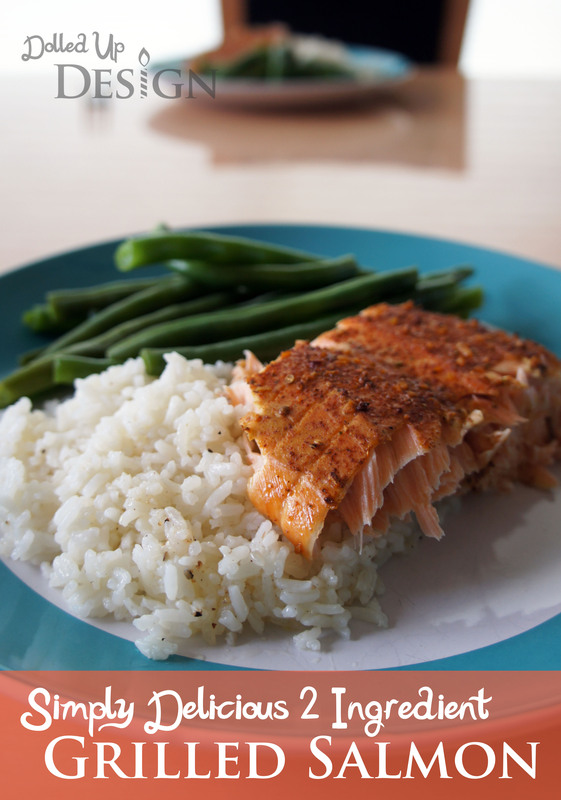 It smells delicious as it cooks, and it keeps the salmon nice and moist. 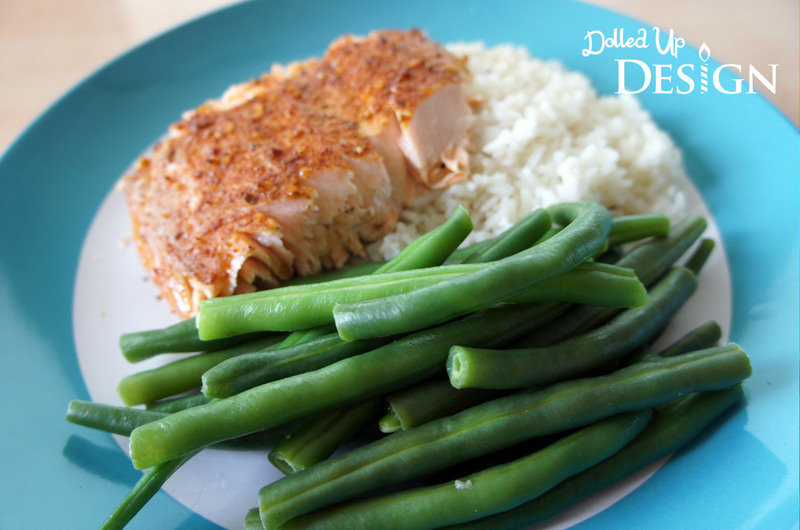 My husband is not a huge fan of fish, but he really enjoys this recipe and surprisingly the kids both gobble down everything on their plates when we have it. If you are not a fan of Dijon mustard, don’t fret. Once cooked, I have a hard time really tasting the mustard on the fish. It imparts a delicious vinegar zip and combines perfectly with the spice mix to enhance the fish and give it a wonderful burst of flavour. If you are watching your salt intake, I noticed on the Clubhouse website that there is a no-salt added version of the Salmon seasoning mix available along with all their other great flavour options in the spice aisle.